The Club and players are excited by our new partnership with 24fit gyms. 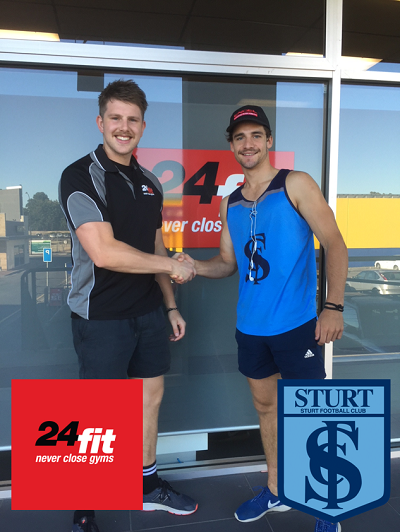 24fit gyms have stepped in to help Sturt Football Club Inc during our Grandstand Upgrade project by offering gym memberships to our Senior squad to keep them fit and ready for the exciting season ahead. Ryan Weidenhofer (pictured) joined up with Damon and his team at 24fit Mount Barker to train, but with so many gym locations our players are spoiled for choice.